Do you need to buy more lenses, but your contact lens prescription has expired? Your eyes may feel fine, and your contacts may even seem to be working well. 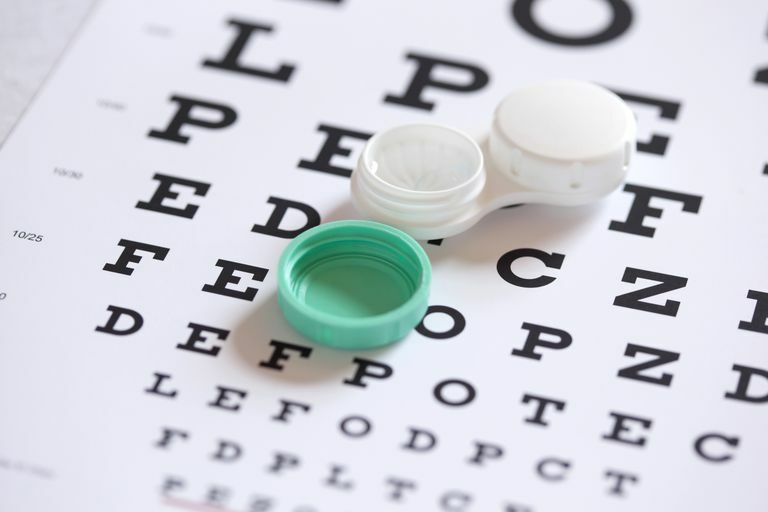 So, should you have to pay for a new prescription if your vision hasn't changed? Why do contact lens prescriptions expire? It's true—when your contact lens prescription expires, you'll have to make an appointment with your optometrist in order to obtain an updated one. You won't be able to buy more contact lenses until you do, even if you buy them online. If an online contact lens retailer is selling you contact lenses without a valid prescription, they are doing so illegally and it is recommended that you stop doing business with them to avoid potential legal problems. Contact lens prescriptions expire for the same reasons that medical prescriptions expire. Any time you are using a medical product, you should follow up with your doctor at least once per year to identify possible complications. The FDA considers contact lenses medical devices. In 2004, a law was passed that set the expiration date of contact lens prescriptions at one year, or the minimum required by state law, whichever is greater. Remember that a contact lens is a foreign body placed into your eye. It lies on top of the cornea—the clear, dome-like structure on the front part of your eye. Contact lenses interact with the inner tissue lining of the eye, called the conjunctiva, underneath your eyelids. They also interact with your tears. We are lucky to live in a modern world where a device such as a soft contact lens is so easily obtained and can deliver near perfect vision. We sometimes forget that a contact lens is bio-compatible with living cells, but is still a man-made piece of plastic. A very advanced piece of plastic mind you, but still a foreign body in the eye. While the cornea provides most of the refractive power of the eye, it is made of living, breathing cells. Metabolic processes occur every day in the cornea, just as in the rest of your body. Debris and waste material from the cells in the cornea are excreted. This material can sometimes build up unnecessarily underneath a tight-fitting contact lens, creating a toxic environment for your cornea. Over-wearing contact lenses can lead to lactic acid build-up within the cornea, resulting in swelling. When swelling occurs, the cells in the cornea may spread apart. Bacteria and viruses can more easily enter these potential spaces in the cornea, possibly creating infection and scarring. Over-wearing contact lenses can also lead to oxygen deprivation; new blood vessels will begin to grow into the cornea to try to feed it the oxygen it needs. It's important that you have an eye doctor at least view your cornea once a year to make sure that your lenses are not causing problems and that your prescription is accurate for your current needs. The next time you reluctantly schedule a contact lens check, remind yourself that you are protecting your vision by maintaining the health of your eyes and enjoying the very best vision you can. American Optometric Association. What You Need to Know About Contact Lens Hygiene & Compliance. AOA.com, 2006-09.